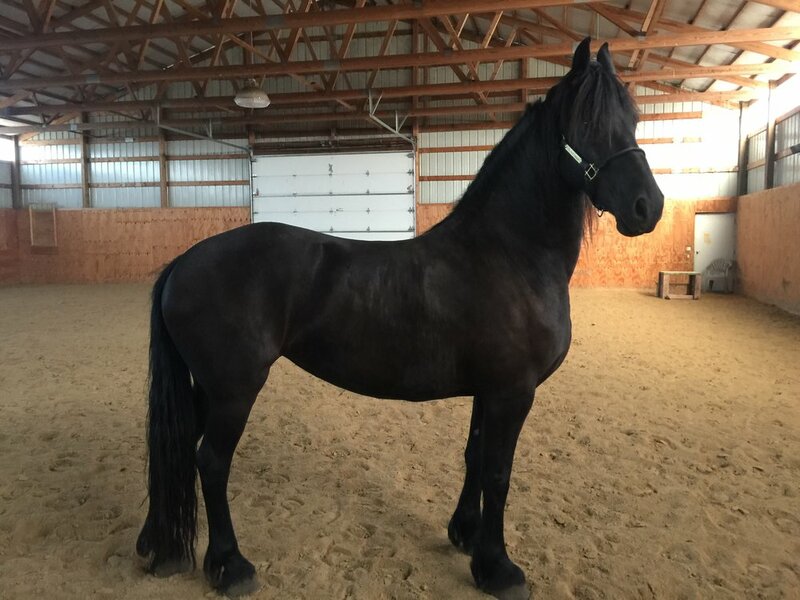 We are proud members of the Friesian Horse Association of North America (FHANA) and are active members in the Midwest Keuring and supporters of the Fenway Foundation and the Friesian Connection. It’s a wonderful group of enthusiastic and knowledgable horsemen. Reina (Sasha x Fridse) is truly spectacular. She is a FHANA world champion and star. The judges specifically asked for for her back and we expect that she will make model mare on her next Keuring. She will be bred this spring to Tjaarda 483 Sport Elite (Time 398 x Lolke 371). This beauty is a FHANA star. She is Reina’s mare x Fridse 423 Sport (Teunis Sport x Nammen). She will be bred to Fridse 423 Sport again this spring. Fridse is one of 14 Friesch Paarden-Stamboek (FPS) Dutch approved and registered World Class Champion stallions. To learn more see his page at The Friesian Connection. Featured in The 8 Most Beautiful Horses on the Planet below.